ED2000 has turned his studio into the smallest club in the world, the Kleinster Klub der Welt. Only two people can come at a time and listen to the newest music selected, reedited and played by ED2000. Corin Arnold, ED2000 started DJing in London where he was born. He moved to Berlin just before the wall came down. As the changes happened, he immediately moved to Mitte, where he still lives. He has, since, played pretty much every major club and underground location in Berlin. He has toured round Europe, Asia and America. He has had shows on many radio stations and is one of the co-founders of Dangerous Drums, one of Berlin's longest running event series. 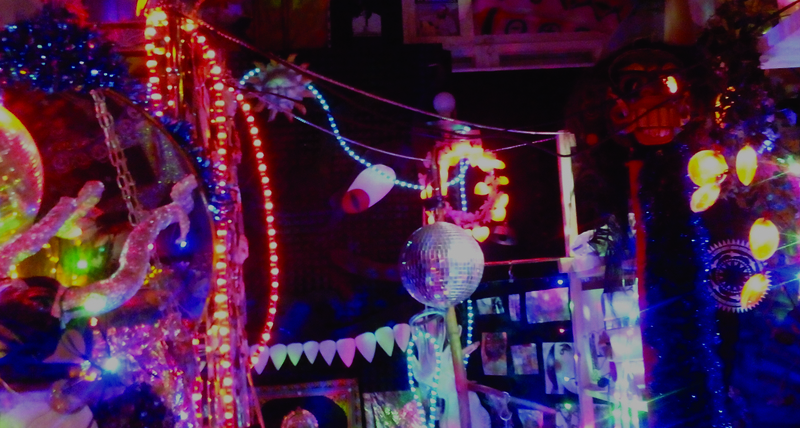 His studio is in KuLe, one of the few remaining artists' communities in Berlin Mitte that were founded in the 90s, just after the Berlin wall was opened and that is still still alive and kicking today with some 15 artists living and working in the house.